Drive to Lachung, enroute visit Butterfly waterfalls. Lunch at Rang-Rang and further drive via Mangan. Enroute visit Naga waterfalls. Upon arrival, check into Hotel. Overnight stay at Hotel /Homestay. 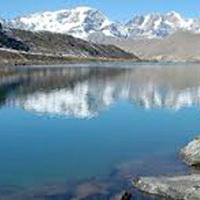 Stop by at Singhik to view Mt Kangchenjunga. Free & Leisure time. Overnight stay at Hotel.